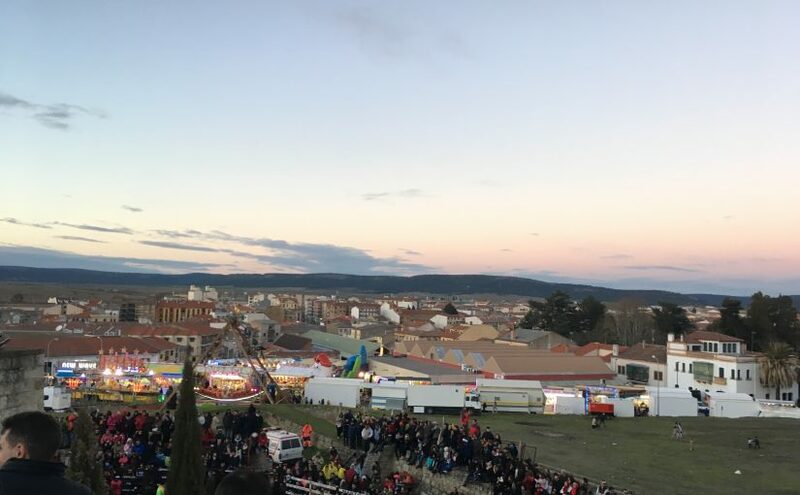 Last week was “El Carnaval” in Spain. Traditionally, this time was designated for the people to, well, purge themselves before Lent. Carnival doesn’t have the same religious implications as it once did, but that doesn’t stop the party. For about a week (sometimes more), people eat, drink, and are merry in celebrations all around the world! 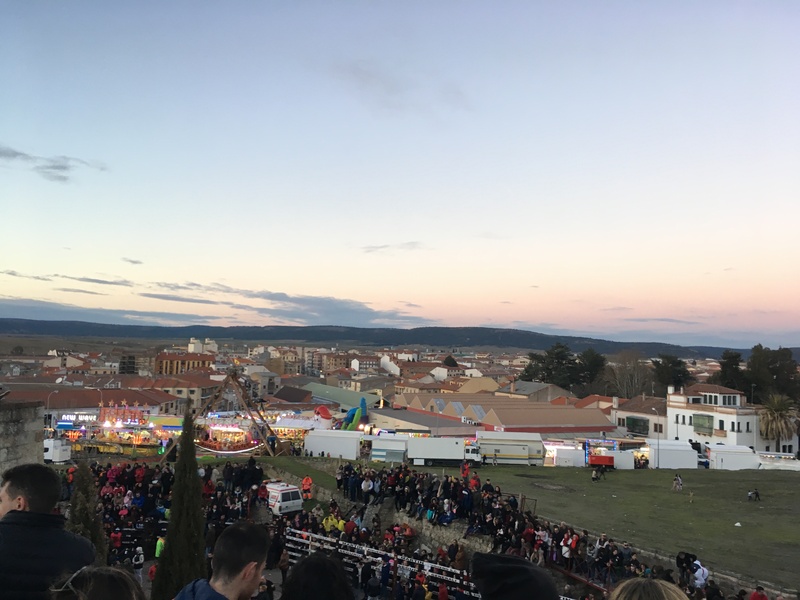 Last week I had the distinct privilege to travel to a local pueblo near Salamanca called Ciudad Rodrigo. 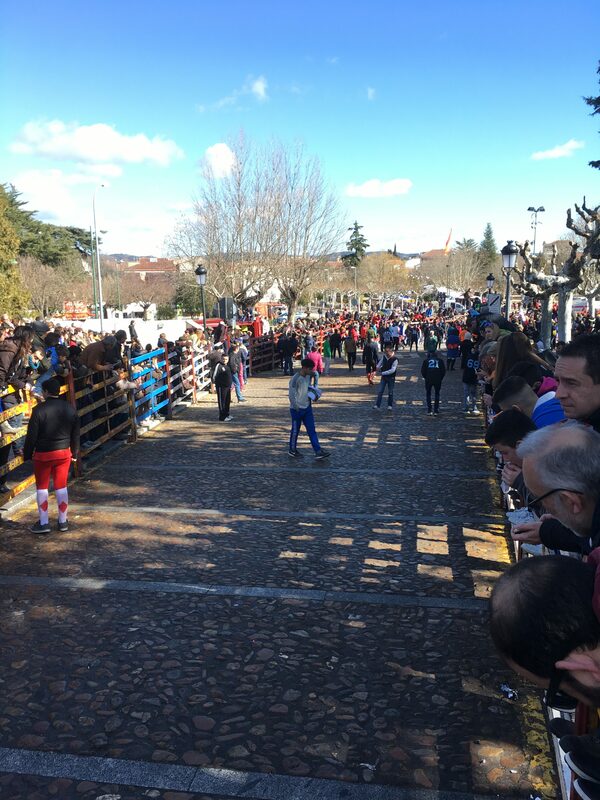 In this small corner of Spain there is a Carnival celebration unlike any other in the world; they run the bulls. As I’ve heard, this is not a common practice to do during Carnival, in fact, this may be the only city in the world that incorporates the running of the bulls into their Carnival. Either way, being a romantic myself, and always having idealized bullfighting as it has been described in works of literature (Hemingway, etc), I had to see it for myself- to run it for myself. I wanted to stare in the face of death – of a 2,500 lb horned beast – and, with the grace of a great bullfighter of old, at the very last moment, to slip past the animal, with adrenaline potent in the blood and sweat running cold down the neck. Let me disclaim: I did not run with the bulls. I didn’t ever really consider it. We had been told (this was NOT an IES sanctioned event) by IES and many others: “People die every year, don’t run with the bulls, these people are trained professionals, this is not a game.” They were right. But that can’t stop me from dreaming, right? Anyways, determined not to run, I set myself up in perfect position to watch the running. The narrow streets of cobblestone were fenced in, and me, perched high on top of a section of fence that allowed me a clear double-view of a bended section of road. Then, we heard it. Three rings of the church bells. People started to clear the streets at a leisure pace. Three more rings of the bell. Then three more. It’s starting, I thought. Why are people still just walking in the streets? Just then, the town’s church bells began to holler frantically, as if signalling a foreign invader; and they were doing just that. The wild beasts were coming. The streets literally shook as a tangible electricity passed through the crowd. The streets were empty before you could blink – save for a few, seemingly fearless, young men. These men weren’t drunk, they weren’t scared, and they didn’t seem distant and preoccupied. If ever there was a group of people alive, awake, in the precise moment with which they were presented, the bull runners certainly were it. They were electrified, vigilant, intently watching the road before them, feeling the very tremors of the cobblestone under their feet. And then they came. There we were, all together in one place: six bulls running for their lives, a handful of young men running for theirs, and thousands of onlookers holding their breath. The bulls charged onward trying to harm any man who stood in their way. Their horns, impossibly sharp, thrashing past at a break neck pace. It was hard, if not downright impossible, to watch. After an intense fifteen-second swirl of adrenaline and excitement, the bulls had all passed, and the crowd audibly exhaled. Luckily, this year, nobody was injured. I imagine that the bull-goring specialist doctors that were there were relieved to be unneeded. However, their job was far from over. These bulls would continue to run twice a day for the next several days, to and from La Plaza de los Toros. 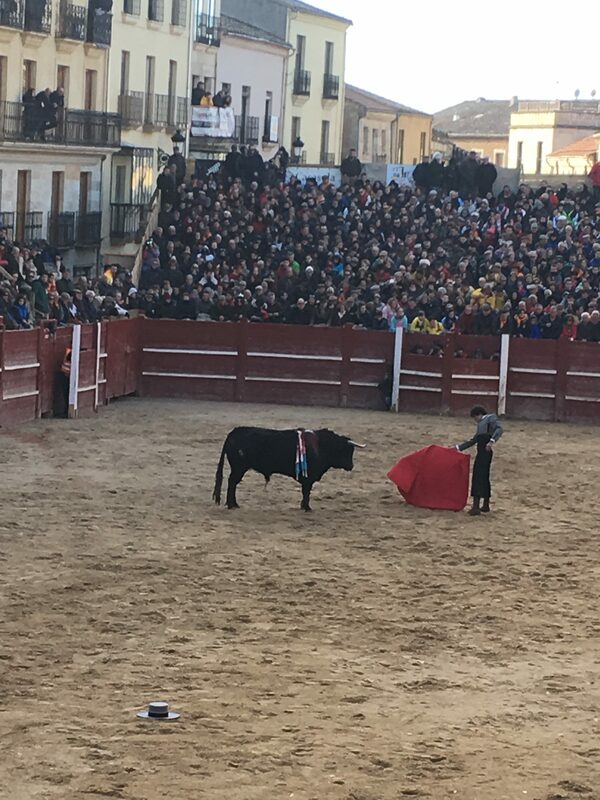 On this particular day, I followed the bulls to their destination in the plaza, a small sand arena where, for 10 euro, you can sit and watch La Corrida, the actual bullfight. I decided I had to see it. Although controversial, I will tell you that my reservations about bullfighting were mostly resolved after watching a bullfight in person. Think what you will about the event (I certainly have my own opinions on it), the absolute artistry of these small town bullfighters nearly blew me off my seat. Their grace, their style, their showmanship, all eternally referencing, in a way, a respect for that great animal. 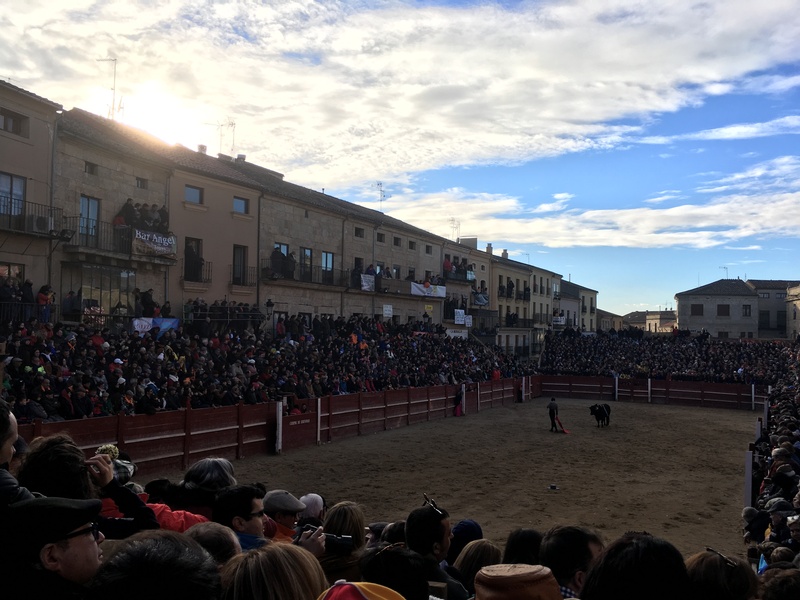 I stayed for hours watching four bullfights and La Capea (where the people are allowed in the ring with the wild bulls) and truly enjoyed every moment. This experience was undoubtedly my favorite so far of being in Spain. The cultural value of seeing, with my own eyes, a real running of the bulls was priceless. This will be one of the memories that I recall with extreme fondness that will have characterized my time here in Spain. My view from on top of the fence lining the street shortly before the bulls came running through. View from on top of a hill of the city. The festival includes carnival rides, games, street food, parades, music, and bulls. Dressing up in costumes is… required. 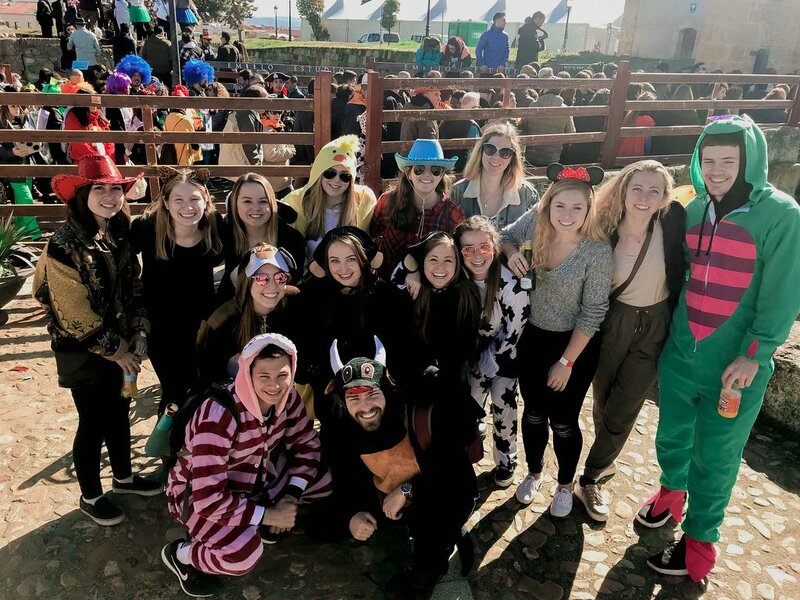 As you can see, we chose the “farm animal” theme, although it is much more common for “groups” of friends to dress up as the same exact thing – to better identify themselves, I’m sure. I am depicted on the bottom row dressed appropriately as a bull.